In the past, watches were simply used to tell time and to make sure people were never late for their appointments. In this day and age, watches have now become a legitimate fashion accessory which can add unique and attractive styles to any outfit. At Zalora PH, not only do we aim to constantly provide you with a wide array of products, we also desire to guide our customers with how to purchase the right set of watches for all types of occasions. Looking for a watch which will go well with all your work outfits to look more professional-like? We offer tips on how to match the most ideal watch for work, leisure days and even for special and formal occasions. Simply heading out to a store or purchasing the first watch you see online will not be a wise thing to do. Watches are not only considered as functional accessories but are considered as fashion investments in order to create an outfit which will leave a positive impression on others no matter where you are. We offer a style guide which lets you in on the secrets on how to choose the right watch for every occasion - for both men and women. When shopping at our online shopping site, you will be able to find amazing brands such as CASIO, ESPRIT TIME, TIMEX and so much more. These brands offer a seemingly endless variety of watch styles which will suit whatever occasion arises. With our help, you will be able to complete your fashionable look at all times. Shopping online for quality watches is now made more convenient and practical when you shop with us! From fashionable accessories to utterly stylish and chic watches for any and all occasions, you will find everything that you are looking for all under one roof. To make things even better, we make sure that you get all your purchases safely and on time. 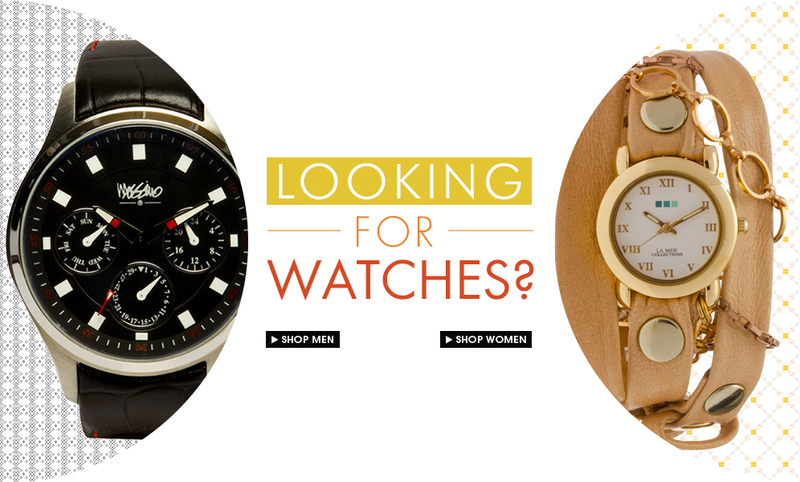 Shop online for watches now for great finds and great services!